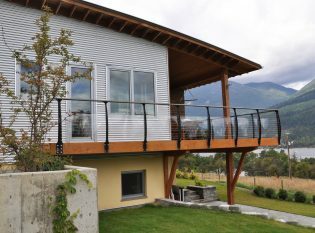 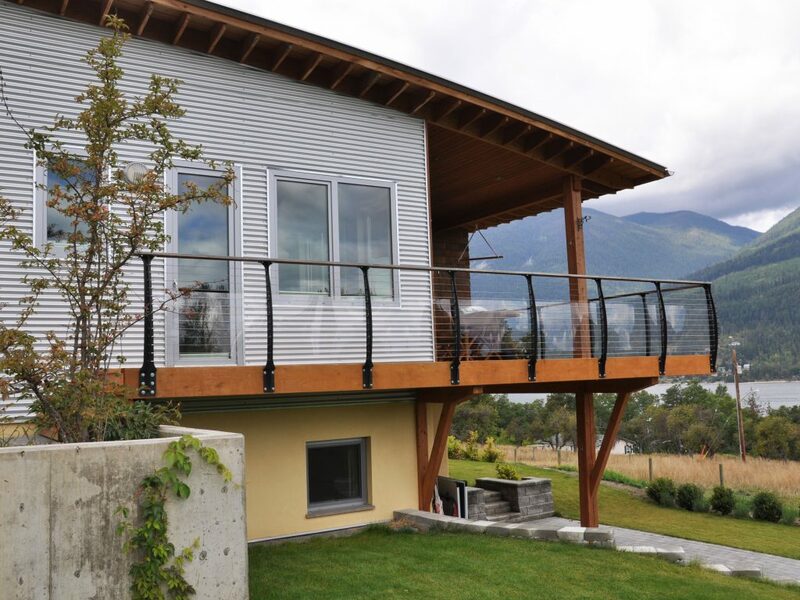 This home in the Canadian providence of British Columbia has an incredible view of Kootenay Lake and the surrounding mountains. 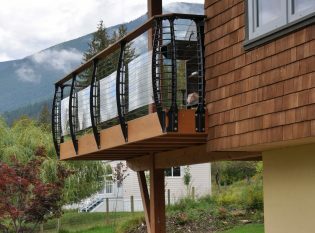 When the homeowners remodeled their exterior deck, they wanted a railing that would preserve the natural view. 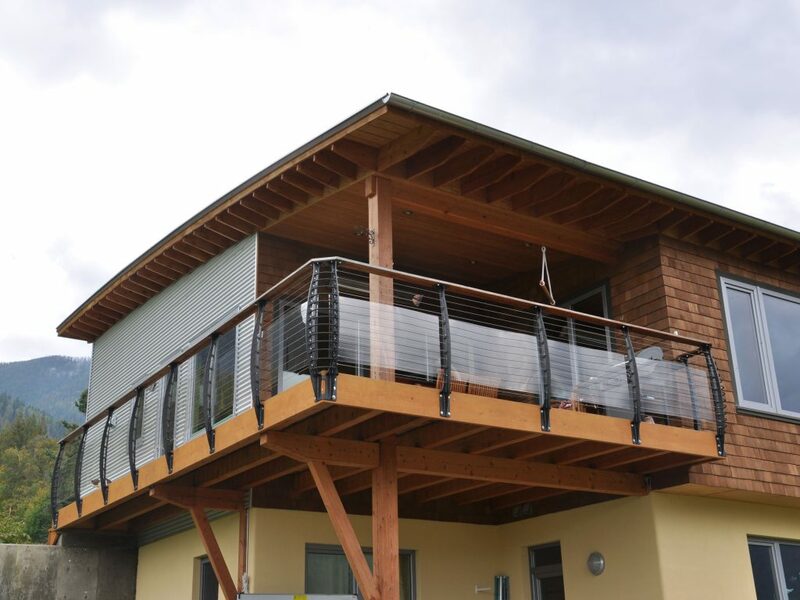 To comply with local building codes, we designed a custom Keuka Style cable railing system that incorporates Lexan glass-like panels.